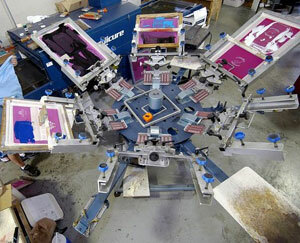 We have thousands of different brands and apparel styles to choose from for all your t-shirt printing and custom printed shirt needs. Browse through several sites to find the exact article of clothing that works for you. If you don't see the style or brand you want to screen print, just give us a call and we will get you the best price possible for those custom screen printed items.